(The Bahamas) December 7, 2017 – Cloud Carib Ltd., a leading managed cloud services provider in the Caribbean and Latin American region, today announced it ranks 42nd among the world’s Top 100 cloud services providers (CSPs), according to Channel Futures seventh-annual Talkin’ Cloud (TC) 100 report. The full report is available now by visiting ChannelFutures.com. 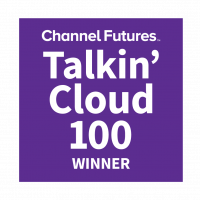 Based on data from Channel Futures’ online survey, conducted between August to October 2017, the TC 100 list recognizes top cloud services providers (CSPs), including MSPs, hosting companies, cloud consultants and more. Rankings are based on annual cloud services revenue growth, and input from Chbannel Futures editors. Cloud Carib is the region’s premier provider of managed cloud services founded upon the principles of delivering quality, agility, and value for every client. Solutions range from complex bespoke dedicated private cloud offerings to hybrid cloud services. Every solution provides clients with controlled costs, unrivaled levels of service, and unparalleled levels of data protection and privacy – when and where privacy matters. Cloud Carib’s services enable a true competitive advantage for each client that is unmatched in most of the world. Headquartered in the Bahamas, and offering multiple data centre locations throughout the Caribbean (Freeport, Nassau, Panama, Barbados, Jamaica and Ecuador), Cloud Carib’s solution portfolio includes: Data Centre Services, Security and Business Continuity Services, and Mobility and Productivity Offerings. For more information, please visit www.cloudcarib.com. The facility where our equipment is housed provides a large network.